element14 Pty Ltd has expanded its product portfolio to include the cutting-edge Littelfuse POWR-GARD fuse range for electronic design engineers in South East Asia, India, Australia and New Zealand. element14 is a fusion of commerce and community supporting millions of engineers and purchasing professionals worldwide. element14 has expanded its partnership with Littelfuse, the world’s leading manufacturer of high performance circuit protection devices to add over 400 new products from Littelfuse POWR-GARD circuit protection solutions across three distinct classes of fuses for electronic design engineers as well as maintenance and repair professionals in the region. Through its distribution agreement with Littelfuse, element14 offers a comprehensive range of Littelfuse products in Asia Pacific with no minimum order quantity required. Circuitry protection solutions from Littelfuse add a distinct competitive advantage and value to element14’s existing inventory of products. The introduction of the multi-purpose and reliable circuit protection fuses will allow electronic design engineers in the region to have the necessary surge protection solutions to meet their evolving business challenges. 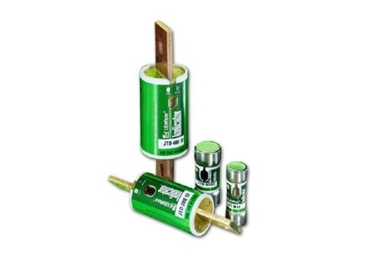 These high performance fuses can be used in a variety of applications including motor control centres, transformer protection, mains, feeders and branch circuits, service entrance switches, switchboard main and feeder switches, distribution panel boards as well as general purpose circuits. The fuses can also be used to protect individual electric services and meter stacks when integrated in main switches. William Chong, Regional Director of Supplier, Product & Purchasing Management, element14, Asia Pacific says that the addition of the complete range of industry-leading Littelfuse POWR-GARD fuse series to element14’s inventory of electronic design products provides customers even more innovative solutions to meet their business objectives. Angus Tsai, Regional Sales Manager for POWR-GARD Asia, Littelfuse comments that the element14 partnership ensures that buyers in the Asia Pacific region will have easy and instant access to the Littelfuse range of products through element14’s commerce portals and online community. Littelfuse’s POWR-GARD range is available in three fuse series, each carefully designed for different applications.